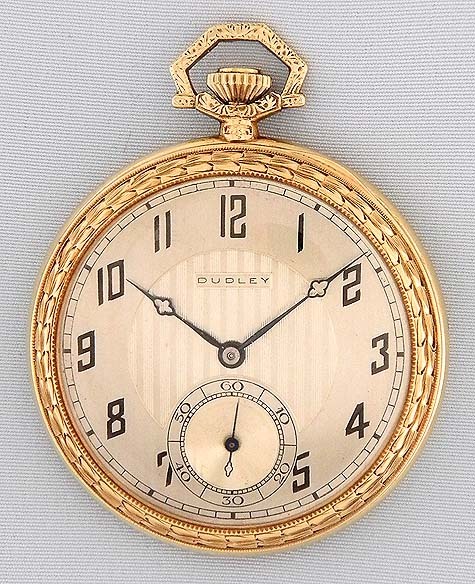 Fine 14K gold Dudley Model I in flip-back case circa 1920. 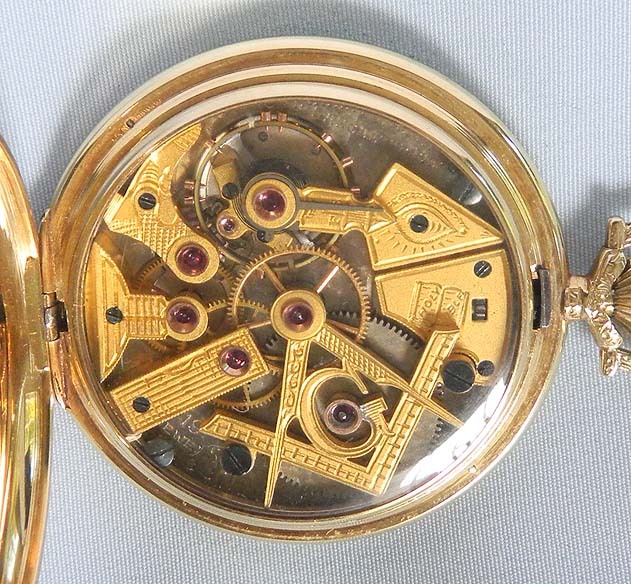 The bridges of the 19 jewel movement #633 in the shapes of Masonic symbols with engraved bible. Original two-tone silver dial with black markings and fancy blued steel hands. 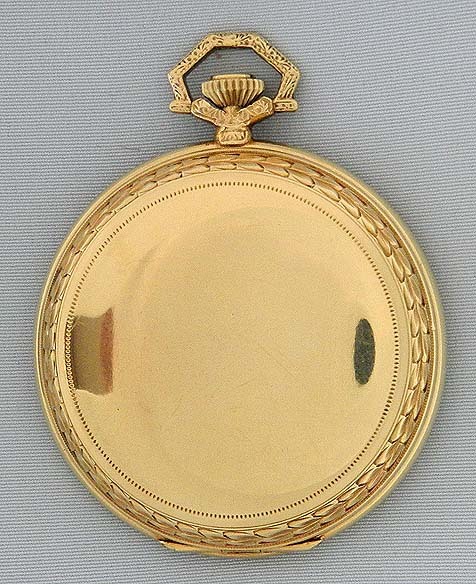 The case with fancy bezels, bow and pendant, spring-hinged back, and crystal over the movement. A very attractive example.